What makes a work of architecture American? In architecture as in politics, debates about identity — regional, national, international — are fraught. Founded in 1892 and housed since 1932 in a building designed by local luminary Pietro Belluschi, the Portland Art Museum recently opened its largest-ever exhibition devoted to a single architect. That architect was not Belluschi but a man with whose first and best-known building — the landmark Aubrey Watzek House of 1937 — Belluschi was sometimes credited. 1 Quest For Beauty: The Architecture, Landscapes, and Collections of John Yeon, which closed on 3 September, took up much of the museum’s ground floor. The exhibition was divided into two sections: at the center were models, drawings, photos, and videos illustrating around two dozen of Yeon’s projects, built and unbuilt, from the late 1920s to the early 1980s; to one side were pieces from his wide-ranging collection of European and Asian painting, sculpture, furniture, and decorative arts. But our confidence in the existence of such a style is shaken by Yeon’s own comments on the matter. No doubt, Yeon recognized the formal consistencies running through his work, and he admitted to long interest in the idea of regional “distinctions” in architecture. Yet toward the end of his career he raised serious doubts. “Whether there is or is not a Northwest regional style of architecture is debatable,” he said in 1986, “but what is certain is that lot of people want to think there is.” Yeon was famously modest, prone to understatement and self-deprecation, so downplaying his role as a stylistic leader would have been characteristic. 4 In this case, however, modesty seems not to have been the issue. It was good to see the recent exhibition renewing interest in Yeon’s architecture; yet my focus here is not his work but its reception. Some years ago, in the journal National Identities, I published an article outlining the trajectory of nationalist and regionalist architectures in the United States between about 1925 and 1940. My interest there was in what one-time Museum of Modern Art curator John McAndrew called “naturalization,” or what historian William Jordy, in a broader study of American regionalism, called its “adaptive or acclimatizing attitude.” 5 There are, of course, many types and degrees of regionalism, architectural and otherwise. In this light John Yeon’s early work was part of a broader reframing of something many Americans believed they already had: a distinct and historically significant indigenous modern architecture. During the late 1930s and 40s, regional styles across the country were being recognized as the linked expressions of a new national architecture. Yeon thus exemplified not only Pacific Northwest regionalism, but the new American place-based movement writ large. Regionalism has long been a difficult topic, bound up with notions of the peripheral, provincial, and parochial. No longer would American designers be mere copyists, humble followers of a superior European lead. In a turbulent era of economic depression, of communism, fascism, and foreign imperialism, the U.S. grew increasingly nationalistic and xenophobic. But the internationalist impulse would prove short-lived. Consolidating its power as a cultural pace-setter, MOMA again signaled a shift when, in 1936, Holger Cahill, former acting director of the museum and new director of the Federal Art Project, announced that American artists and arts institutions were “declaring a moratorium on [their] debts to Europe and returning to cultivate [their] own garden.” One year later, MOMA trustee Nelson Rockefeller wrote to Henry-Russell Hitchcock, urging him to support more shows on American architecture. Indeed, between 1938 and 1941, 18 of the 22 exhibitions organized by the museum’s Department of Architecture and Design focused on American topics. 9 In making this shift, MOMA was reflecting and appealing to a sensibility spreading rapidly across the nation, one visible in everything from the popularization of terms like “the American Dream” and ‘”the American way of life” to the passage, in 1940, of the Alien Registration Act and the eventual detention of Japanese-American citizens in internment camps. In a turbulent era that saw multitudes grappling with economic depression and unemployment, with communism, fascism, and foreign imperialism, and with the coming of war, the U.S., like other nations, grew increasingly nationalistic and xenophobic. These attitudes quickly entered the artworld and were amplified by it. The first of MOMA’s architecture shows to reflect this new atmosphere opened in January of 1938. Produced by McAndrew, this was a small exhibition on Fallingwater, the house that Frank Lloyd Wright had just built in the countryside of western Pennsylvania. In his catalogue essay, McAndrew argued for renewed appreciation of the 70-year-old Wright: not only had the work of America’s most famous architect provided a foundation for European modernists; it also offered a direct and “refreshing example” to contemporary Americans, a tonic for the excesses of the International Style and its imported forms and ideas. Just as a foreign-born person may become naturalized when moving to a new country, so foreign-born architectural themes were being naturalized through their adaptation to American conditions. It was this hybrid reaction that most interested McAndrew, and inspired his use of the word “naturalization.” By this he meant two things. The first was the influence of Wright, the new emphases on human over mechanical requirements and on the importance of landscape. Fallingwater, he said, was “inseparably united with nature.” But there was also a powerful political shading to the term. Just as a foreign-born person may become naturalized when moving to a new country, so foreign-born architectural themes were being naturalized through their adaptation to American conditions. Discussing MOMA’s Three Centuries of American Art exhibition, which opened in Paris in 1938 and would later travel to Yeon’s hometown, McAndrew wrote, “European doctrines are being translated into American terms; transplanted architects have often turned out to be more American than European.” He pointed to France, Spain, England, and Mexico as nations that had imported “their architectural styles and naturalized them later, partly through the compulsion of local climate, materials or requirements, partly through the influence of existing national forms.” 12 Why shouldn’t America do the same? It was only natural, after all, part of the process of cultural maturation. The regionalist architecture of mid-century America was limited almost exclusively to a single building type: the private house. It’s notable — as the examples above suggest — that the new regionalist architecture of mid-century America was limited almost exclusively to a single building type: the free-standing, private house. Yeon’s and Belluschi’s Portland houses of the late 1930s and ’40s, for example, were called regionalist, but Belluschi’s larger-scaled skyscraper and office designs — such as the much-lauded Equitable Building of 1944 — were not. Precisely because the single-family house serves a small user group and limited range of functions, it is a prime vehicle for expressions of identity and place, freighted with cultural associations and symbolic potential. Major cities and their institutions project themselves as sources of ‘universal’ culture. Among the names on Thiry’s list was that of John Yeon. Although it’s unclear how he felt about this back in 1953, Yeon’s later remarks, as I’ve noted, offer clues. Writing to a friend in May 1986, Yeon dismissed the too-eager embrace of regionalism as being akin to “rooting for the local basketball team.” 21 A few days earlier he’d given a lecture at the University of Washington in Seattle, where he told his audience that talk of regional styles “is often just a form of regional chauvinism.” 22 (These were the same years when Antoine Predock, weary of the adobe straitjacket that his place-conscious Southwestern designs had put him in, said “you’re a ‘regionalist’ if you can’t get a job out of state.” 23) At the same time, Yeon acknowledged that his own architecture was regional, but he carefully defined what this meant to him. Yeon’s charge of chauvinism came back to me a few years ago when I found myself at a lecture in Seattle, listening to a professor of architecture assert that, beyond a greater Pacific Northwest regionalism (found anywhere from the California-Oregon border to British Columbia and on to Montana), there was an even more particular Puget Sound style. He based this claim on the appearance of a type of wood joinery used in a handful of modest dwellings of the 1950s and ’60s scattered across the greater Seattle-Tacoma metroplex. 25 Though it left me with a sensation similar to one I’ve sometimes had when seated on a plane beside a prideful grandparent treating me to cellphone videos of their darling’s dance recitals, this talk did get me thinking about how often claims of regionalism devolve into local boosterism and formal minutiae. Regional modernism was bound more by time than by geography: it was the architecture of an era first, and of a place only second. So it seems reasonable to ask: why does so much so-called regional modern architecture across the U.S. look so much like architecture found in regions other than its own? The answer, I think, lies in a common conceptual error. When we speak of regionalism as a style, whether Bay Area, New England, or Pacific Northwest, too often we bring a literal view where a more abstract one would do better. Except in a few limited cases — in places with long, rich, local architectural histories to draw upon: the Southwestern Pueblo Revival, for example — regionalism is most effectively understood not as a style in the sense that Art Deco, Greek Revival, or even International Modernism were styles. Most of what we’ve long called modern regionalism never really cohered as distinct, discrete, shared formal languages. The architects and buildings who represented the various “regional styles” were loosely affiliated at best, following patterns whose significance was less in how they represented relatively isolated cultural or geographical circumstances than in the fact that they were occurring in more or less the same ways at the same time all over the country. In other words, regionalist modernism was bounded more by time than by geography: it was the architecture of an era first, and of a place only second. After all, the regionalist ethos was emerging not in 1840, when months of perilous travel separated the east and west coasts and when regional distinctions were undeniable and profound, but in 1940, when the country was connected by near-instantaneous communications and ever-more rapid transportation and distribution networks. And when regionalist modernism was becoming a national “style,” a geographically broad-ranging, historically situated mode of thinking and practice. By linking architecture to physical environments rather than to innate national character or genius, naturalism avoided reckless declarations of global and historical preeminence; it recognized and appreciated foreign influence while finding value in the local. Depending on one’s priorities, it was either locally, traditionally-based architecture updated and viably inserted into global modern currents, or it was international, machine-age modernism made warmer, woodsier, homier, better sited, more conventional, and more American. Either way, this was modern architecture naturalized in terms of both materials and relation to site and, just as importantly, in its citizenship. Naturalized architecture was American regional architecture made national — conceptually unified in much the same way that individual states and regions were subordinate to a greater American whole, a whole populated by a diverse mix of natives and naturalized immigrants. Amidst the renewed triumphalism following America’s victory in World War II — civilization saved from fascism, the country’s reach and influence now global and unquestionable, its economy booming — Henry-Russell Hitchcock wrote that “American architecture has come to occupy a position of special prominence in the world. …[It] is not an isolated phenomenon: in architecture, as in many other things, we are the heirs of Western civilization.” Modern architecture, he said, had “come to seem almost synonymous with American architecture.” 29 Figures such as Wright and Eero Saarinen were now recognized and revered both at home and abroad, while many major European modernists now lived and worked here as well. The U.S. was a center, the center — its regions more knit together than ever before by television, interstate highways, commercial air travel — and for those conscious of their centrality, regionalism became something happening somewhere else. In this shifting landscape, interest in Yeon’s place-based work receded. The Museum of Modern Art included his Portland Visitors’ Information Center (1948) in their 1952 book and exhibition Built in the USA: Post-War Architecture; Architectural Forum and House Beautiful published some of his houses around the same time. But national attention dried up. Yeon continued to design houses and landscapes in and around Portland, to create galleries for major museums in San Francisco and Kansas City, to curate his own extraordinary art collection, and, most importantly, to play a leading role in the preservation of historic buildings and the conservation of public landscapes in Oregon and Washington. Yet none of these activities are as well known, or so identified with him, as that first completed house, the Watzek, built when he was just 26 and made iconic through a single photograph. This is unfortunate, for as the Portland Art Museum’s recent exhibition ably demonstrated, Yeon’s was an impressive body of work, deserving more than its reduction in the public imagination to a thumbnail for a regional style whose very existence he questioned. See: “A Country House in the Oregon Hills,” Architectural Record, Dec. 1940; and Meredith L. Clausen, Pietro Belluschi: Modern American Architect (Cambridge: MIT Press, 1994), 96. The exhibition was created by Randy Gragg, former director of the University of Oregon’s John Yeon Center for Architecture and the Landscape, and Portland Art Museum curators Maribeth Graybill and Dawson W. Carr. 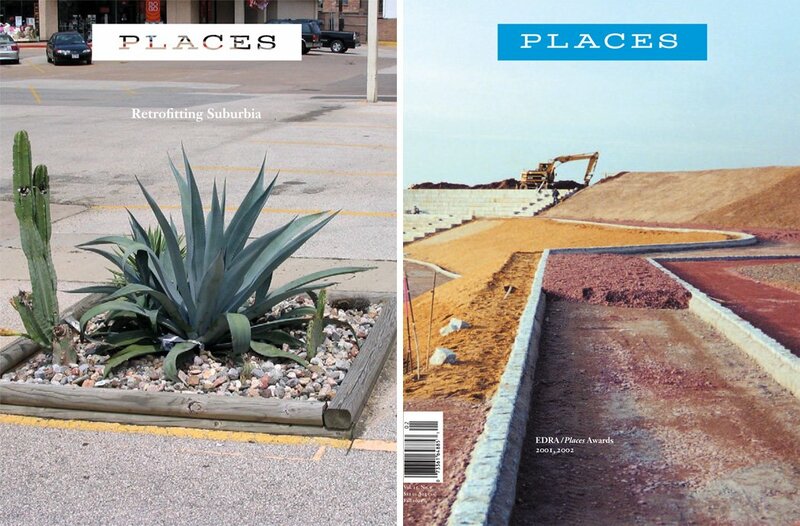 See Randy Gragg, ed., John Yeon Architecture: Building in the Pacific Northwest (New York: Andrea Monfried Editions, 2017), and Randy Gragg, ed., John Yeon Landscape: Design, Conservation, Landscape (New York: Andrea Monfried Editions, 2017). See Paul Thiry et al., “Have We an Indigenous Northwest Architecture?,” Architectural Record, April 1953 (special issue on the “Architecture of the Northwest”), 141. See also Jeffrey Karl Ochsner, “The Emergence of Northwest Regional Modernism: From the 1930s to the 1950s,” Abstracts of Conference Papers and Poster Sessions, Society of Architectural Historians, Marion Dean Ross/Pacific Northwest Chapter Annual Meeting, Seattle, 2-4 October 2014. John Yeon, “Buildings and Landscapes,” Lionel H. Pries Distinguished Guest Lecture, University of Washington, Seattle, 1 May 1986 (John Yeon Archives, Portland, Oregon), 10, 21-24. The full text of this talk is reproduced in Gragg, John Yeon Architecture, 82-93. I have first-hand experience of John Yeon’s modesty. When, at the owner’s request in May, 1984, I wrote to Yeon about nominating the 1950 Cottrell House for the National Register of Historic Places, he asked that we not to proceed, saying the house was not among his better efforts and that its nomination would dilute the Register’s value. John Yeon to Keith Eggener, 7 June 1984. Keith Eggener, “Nationalism, Internationalism, and the ‘Naturalization’ of Modern Architecture in the United States, 1925-1940,” National Identities 8: 3 (2006), 243-258, http://doi.org/d8vg3s. William Jordy, “Four Approaches to Regionalism in the Visual Arts of the 1930s” in William Jordy: “Symbolic Essence” and Other Writings on Modern Architecture and American Culture, ed. Mardges Bacon (New Haven: Yale University Press, 2005), 82, 90. For more on American cultural anxiety during the first half of the 20th century, see Wanda Corn, The Great American Thing: Modern Art and National Identity, 1915-1935 (Berkeley: University of California Press., 1999); Jean-Louis Cohen, Scenes of the World to Come: European Architecture and the American Challenge, 1893-1960 (Paris: Flammarion, 1995); T. J. Jackson Lears, No Place of Grace: Anti-Modernism and the Transformation of American Culture, 1880-1920 (Chicago: University of Chicago Press, 1994); and Roderick Nash, The Nervous Generation: American Thought, 1917-1930 (Chicago: Ivan R. Dee, 1990). Talbot Hamlin, The American Spirit in Architecture (New Haven: Yale University Press, 1926); Philip N. Youtz, American Life in Architecture (Chicago: American Library Association, 1932); George H. Edgell, The American Architecture of Today (New York: Scribner, 1928). See also Fiske Kimball, American Architecture (Indianapolis: Bobbs-Merrill Co., 1928). Irving K. Pond, “ Toward an American Architecture,” A. Woltersdorf, ed., Living Architecture (Chicago: A. Kroch, 1930), 164. Sheldon Cheney, A Primer of Modern Art (New York: Tudor Publishing, 1945), 321. Cheney’s book was first published in 1924. The section on architecture changed little in editions published between the mid-1930s and the mid-1940s. See also Henry-Russell Hitchcock and Philip Johnson, The International Style: Architecture Since 1922 (New York: W.W. Norton and Co., 1932), 22–34. Cahill quoted in Jonathan Harris, “Modernism and Culture in the USA, 1930-1960,” in Paul Wood et al., Modernism in Dispute: Art Since the Forties (New Haven: Yale University Press, 1993), 17. For more on MOMA shows of the time, see Franklin Toker, Fallingwater Rising: Frank Lloyd Wright, E.J. Kaufmann, and America’s Most Extraordinary House (New York: Alfred A. Knopf, 2003), 264; and Elizabeth Mock, ed., Built in the USA: Since 1932 (New York: Museum of Modern Art, 1945), 124-126. John McAndrew, A New House by Frank Lloyd Wright on Bear Run, Pennsylvania (New York: Museum of Modern Art, 1938); and John McAndrew, Guide to Modern Architecture, Northeastern States (New York: Museum of Modern Art, 1940), 12-13. For more on McAndrew, see Russell Lynes, Good Old Modern: An Intimate Portrait of the Museum of Modern Art (New York: Atheneum, 1973), 177-180, 220-224. John McAndrew, “Architecture in the United States,” The Bulletin of the Museum of Modern Art 6 (1-2), 1939, 9; and McAndrew, Guide to Modern Architecture, Northeastern States, 11. John McAndrew and Elizabeth Mock, What is Modern Architecture? (New York: Museum of Modern Art, 1946), 20, 22. McAndrew, “Architecture in the United States,” 2, 10. McAndrew, “Architecture in the United States,” 9-11. James Ford and Katherine Morrow Ford, The Modern House in America (New York: Architectural Book Publishing Co., 1940), 14. Katherine Morrow Ford, “Modern Is Regional,” House and Garden (March 1941), 35-37, 79. “Houses Should Vary with Regions,” Life (3 Sept. 1945), 57-58. This short article illustrates houses from Texas, Florida, New Jersey, and Maine. See the press release for The Wooden House in America, Museum of Modern Art, 9 Sept. 1941, accessed 28 May 2017; and McAndrew and Mock, What is Modern Architecture?. Architectural historian Meredith Clausen sees regionalism, especially in the American west, as “a reaction not only against European influences but also against the hegemony of the architectual establishment on the East Coast.” Clausen, Pietro Belluschi, 84; and for further discussion of differences and rivalries between eastern and western architectural camps at mid-century, see 190-192, 207-211. 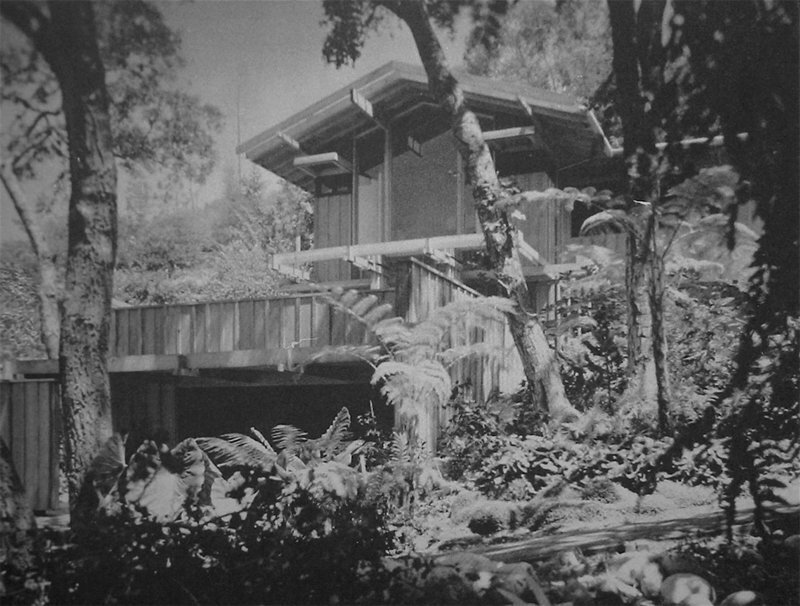 McAndrew included the Watzek House in several MOMA books and exhibitions he produced, and the museum continued to show Yeon’s work long after McAndrew’s departure in 1941. See, for instance, What is Modern Architecture? (1942), Art in Progress (1944), Build With Wood (1944), Built in USA, Since 1932 (1944), If You Want to Build a House (1946), and Built in USA: Post-war Architecture (1952). Years later, in 1993, Yeon wrote: “The Northwest Style may have been started by the Museum of Modern Art … [but] one or two buildings are not enough to set a style. They used the term ‘regional style’ because they were interested in grass roots for the modern movement.” See Barry Bergdoll, “‘A Fortuitous Shadow Which I Never Anticipated’: John Yeon Between Terrain and Fame,” in Gragg, ed., John Yeon Architecture, 47-48. Bergdoll describes how Yeon’s work was later taken up and politicized by Elizabeth Gordon, editor of House Beautiful, who saw it as emblematic of a softer, warmer, “less confrontational modernism,” “a bulwark against what she viewed as the hegemony of East Coast elitism,” and the “threat” to American architecture and values posed by Mies and his followers. Paul Thiry et al., “Have We an Indigenous Northwest Architecture?,” 141, 145. The “basketball team” quote comes from a letter dated 12 May 1986 from Yeon to his friend, Laurence Sickman, former director of the Nelson-Atkins Museum of Art in Kansas City, MO. See Marc Treib, John Yeon: Modern Architecture and Conservation in the Pacific Northwest (ORO Editions, 2016), 251, 270. Yeon, “Buildings and Landscapes,” 21. See Lawrence W. Cheek, “Concreto y Sol y Sombra,” Phoenix New Times, 4 Oct. 1989, accessed 28 May 2017. Yeon, “Buildings and Landscapes,” 6, 21-22, 24. On regionalism as “resistance,” see: Kenneth Frampton, “Towards a Critical Regionalism, in Hal Foster, ed., The Anti-Aesthetic (Seattle: Bay Press, 1983); and Keith Eggener, “Placing Resistance: A Critique of Critical Regionalism,” Journal of Architectural Education, 55: 4 (2002), 228-237, http://doi.org/dcgbw7. Grant Hildebrand, “Little Wooden Buildings: The Puget Sound School,” Abstracts of Conference Papers and Poster Sessions, Society of Architectural Historians, Marion Dean Ross/Pacific Northwest Chapter Annual Meeting, Seattle, 2-4 October 2014. Frank Lloyd Wright, Richard Neutra, Henry-Russell Hitchcock, Architectural Forum editor Douglas Haskell, and MOMA curator Elizabeth Mock all noted the critical importance of siting and spoke directly or indirectly of the virtues and potential of the irregular site — “the most difficult spot,” Wright called it in 1938, “a site no one wants,” one that has “a fault of some kind in the realtor mind.” See Keith Eggener, Luis Barragán’s Gardens of El Pedregal (New York: Princeton Architectural Press, 2001), 112-120. Carl Koch’s prefabricated Techbuilt houses of the 1950s and ’60s were constructed in some 20 states along the east coast and upper midwest. My thanks to Places editors Nancy Levinson and Josh Wallaert for drawing out this point from their readings of an earlier draft of this essay. Henry-Russell Hitchcock, “Introduction,” in Henry-Russell Hitchcock and Arthur Drexler, eds., Built in USA: Post-War Architecture (New York: Museum of Modern Art, 1952), 10; and Hitchcock quoted in Alan Gowans, Images of American Living (Philadelphia: J.B. Lippincott, 1964), 447. Why the Folk Art Museum is a great modernist building, and why the Museum of Modern Art should reverse its decision to tear it down. What role did architects play during World War II? A new book from the Canadian Centre for Architecture argues that designers were as indispensable as engineers.